Who is "The Scorpion Equalizer"? Not interested in going out at night in your yard to look for scorpions? Wouldn't it be nice if you could rely on one person who could remove every scorpion found on your property? No matter how often an exterminator sprays your yard, there could be dozens or even hundreds of scorpions living just outside your home. Exterminators are great for killing crickets and other food for scorpions, but they seldom actually will be able to get the pesticide on the actual scorpions. Chances are you will end up with more dead birds, dead lizards, or dead squirrels than dead scorpions. Sealing your home is a time consuming, costly procedure that can help reduce the number of scorpions that get into your house. However, HOUSE SEALING KILLS ZERO SCORPIONS! 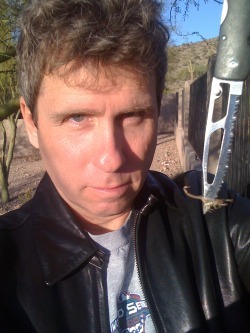 The only way to insure dead scorpions is to hunt them down and physically kill them. Spraying them might get them to scurry away and crawl into a crack, but it is ineffective at reaching the goal of a dead scorpion. Call me now @ 480-307-4804 or email me at thescorpionequalizer@gmail.com and I will come out to your home, hunt down and remove all scorpions found without pesticides. 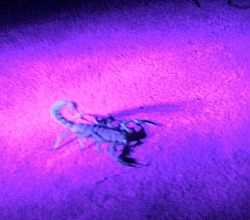 For more information about scorpions, be sure to follow me on Twitter. Please note, I never swear on Twitter, but I do re-Tweet from people who have found scorpions in their home or who have been stung by scorpions. IF YOU OR A MEMBER OF YOUR FAMILY HAVE BEEN STUNG BY A SCORPION AND NEED MEDICAL ADVICE, PLEASE CALL POISON CONTROL AT 1-800-222-1222 FROM ANYWHERE IN THE UNITED STATES.